Home/Archive Storage, Blog/Are your documents SAFE? Keeping good records isn’t just about being tidy and well organised. Proper storage of important records will make it easier for you to meet your legal obligations, manage your cash flow and reduce stress. How and where you store your documents is very important. Could your documents be accessed by anyone? Is there any chance your documents could be exposed to outside elements? Does anyone else know your password? 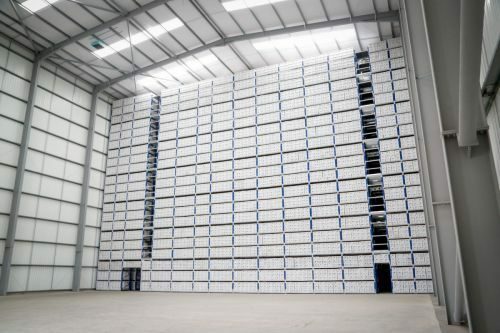 DataSpace provide Secure and Compliant Document Storage. Move your important documents to DataSpace where they will be stored securely with the added piece of mind that you will have complete compliancy. If your documents are not stored safely you could be breaching the Data Protection Act and be risking your businesses reputation! Our premises have been designed and built in line with the recommendations outlined in PD 5454:2012. The site locations have been selected as they are not on a floodplain or flight path and are situated in low crime rated areas. Access to the site is controlled via a secure main gate and access to the warehouse areas is restricted as internal doors can only opened using a key fob. The DataSpace site is fully secure in line with our security protocols. DataSpace’s document and file storage covers business file storage, medical file storage, medical records storage, electronic file storage, paper file storage, paperwork storage, NHS records storage and safe file storage, Phew! Compliant and accredited!